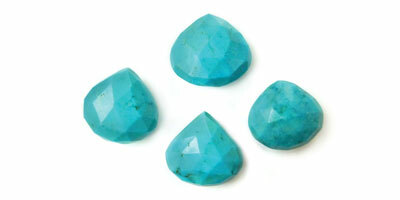 Turquoise was brought to Europe from Turkey and derived its name from the French word turquois for Turkish. It is a blue-green mineral that is hydrated with aluminum and copper. It is usually found close to the surface, less than 20 meters, and is typically found in the cavities of highly altered volcanic rock. 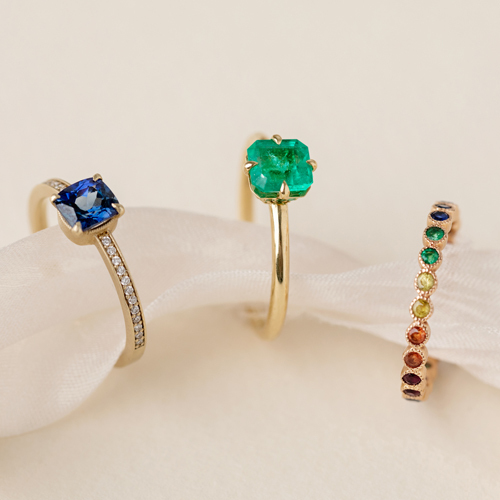 Turquoise's blue color comes from the copper and the green from iron. 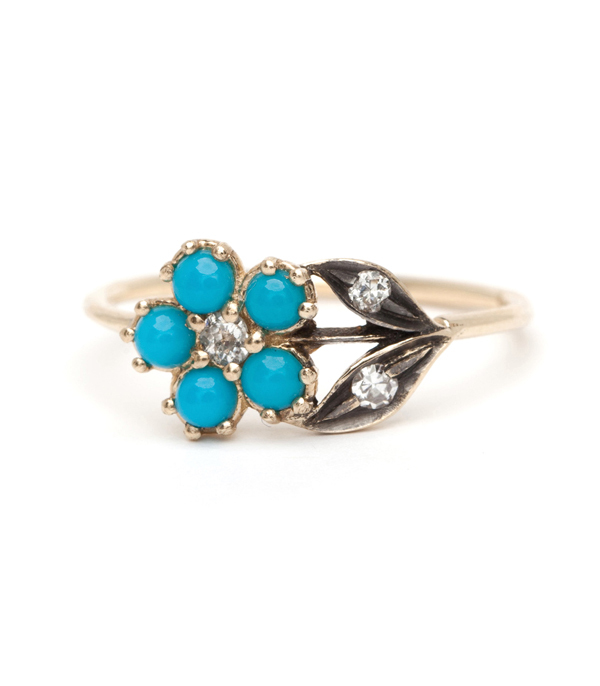 Turquoise is one of the oldest gems and was endeared by many great cultures. It was adorned by the rulers of Ancient Egypt, the Aztecs, Persia, Mesopotamia, the Indus Valley, and China. It was not introduced to the West until the 14th century from Turkey via the Silk Road, an ancient trade route that connected the East and the West. Iran, Egypt and the United States are the main sources of turquoise, however Afghanistan, Australia, India, Chile, Cornwall, Saxony, Silesia, and Turkestan produce small amounts as well. Turquoise is often a by product of large-scale copper mining, especially in the United States. The smaller mines are usually worked by hand with little or no mechanization. Turquoise was once considered a symbol of male power, however today, we know Turquoise empowers men and women equally, and worn or carried, it is a talisman of luck, success, ambition and creativity. It also promotes leadership and clarity. Not only is turquoise the birthstone for December, it is also the gift given to celebrate the 5th and 11th wedding anniversaries.